CRC is an independent specialist providing commercial solutions relating to distressed cargo for the marine industry. Our track record over 40 years proves a history of reliability in bringing the most imaginative solutions to the most complex and seemingly intractable problems. Where the minimisation of losses is critical, we are prepared to commit our own capital to outright purchase of cargoes and the associated transhipment logistics. SOLUTIONS NOT PROBLEMS. CRC helps to resolve the complex legal and insurance issues which arise when a cargo fails, for whatever reason, to reach its original intended consignee. CRC negotiates as an independent principal with the various interested parties in order to provide a commercially acceptable solution resulting in overall loss mitigation. In this process CRC may commit its own capital to purchase the cargo and to settle the outstanding claims of the various interested parties. We operate from Switzerland, Singapore and the UK. Contact us directly or via a professional advisor regarding problems relating to distressed cargo. Goods shipped by sea may not reach their original specified consignee for many reasons. The following list is not exhaustive. It does cover situations, amongst many others, where CRC has been able to provide commercial solutions to the satisfaction of all parties concerned. Ship seriously damaged due to engine failure. Cargo refused by consignee due to damage under P & I Club liabilities. Insolvency of ship charterers and/or ship owners. Deterioration due to prolonged storage on board due to voyage delay or voyage not being completed. Cargo on board suffers damage in transit. Disputes between charterers and ship owners. Rejection by local health and/or government authorities in consignee’s country due to faults in condition/quality of cargo or discrepancies in documentation. Salvage services have been rendered exposing ship and cargo owners to claims. Cargo refused by consignee due to insured peril. Cargo impounded and held to court order. CRC’s position as an independent principal, not as an agent or broker, means that we work to provide solutions which can be accepted by all parties to a given situation. CRC bears the cost on its own account for assessing a given situation, wherever in the world the problem may have arisen, in order to confidentially negotiate and propose an economic and workable solution to the interested parties with loss mitigation at the forefront. CRC provides logistics expertise on “No Cure No Pay” terms whereby CRC assumes the risks of safely forwarding stranded goods to the intended destination port. CRC undertakes confidential investigations to determine the residual values of damaged and/or rejected goods worldwide to provide concerned insurers / cargo owners with offers to purchase such goods basis “AS IS WHERE IS” thus acting as sui generis reinsurer to the original insurers. CRC offers fee-based consultancy regarding the valuation of distressed and damaged cargo, and associated marine logistics. CRC has positioned high-specification cargo grabs in Cape Town and Singapore, thus covering major trade routes. 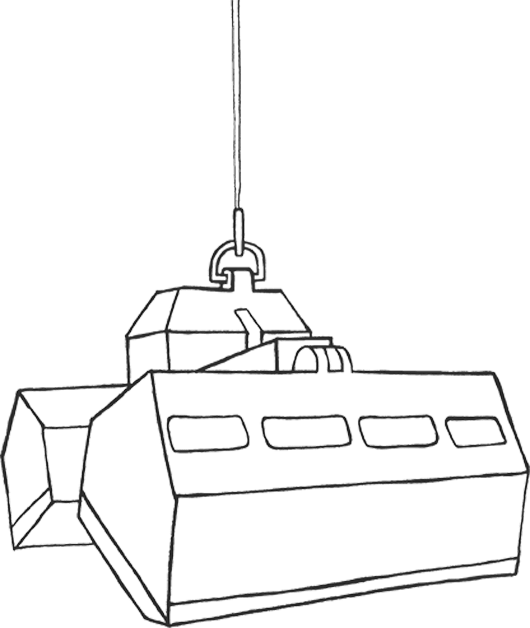 These diesel hydraulic grabs are capable of handling most different types of bulk cargoes, including extremely dense and heavy material such as iron ore and other mineral concentrates. The grabs are fully maintained and ready for use. They are available at short notice for hire to third parties on specific terms. ORTS DHS-B Radio-controlled diesel hydraulic grabs.